German statistician Ernst Engel, who was the first to investigate the relationship between goods expenditure and income systematically, came up with what is now known as the Engel Curve. The Engel Curve describes how household expenditure on a particular good or service varies with household income. Given the sharp rise in prices being experienced in the country, without a proportionate increase in consumer incomes in Zimbabwe, the Engel Curve would suggest that demand for goods would fall as consumers shift to less expensive substitutes. The spike in prices is affecting an economy saddled with at least 90% unemployment, which means demand for goods will go down. While official figures from the statistics agency put the country’s inflation at 42%, the highest level since 2009, prices have actually more than doubled over the past couple of months. Since last year, the price of bread has gone up from $0,90 to retail at an average of $2. A 2-litre bottle of cooking which was priced at $3,80 is now selling for $10. A litre of petrol now costs $3,31 from $1,43 while the cost of diesel increased from $1,38 to $3,11 per litre. A 2kg packet of rice, which retailed at $3 is now pegged at $8. This blanket price hike of goods and services has not been met with a corresponding increase in wages. Civil servants, who constitute the majority of the formally employed population, still earn an average of $400. Their buying power has been eroded. While economists agree the demand for basic food products is “inelastic”, the current wave of price increases will push penniless consumers to relinquish the purchase of certain products. The market will experience a depressed consumer demand of goods or a shift of goods consumption to less costly alternatives. Confederation of Zimbabwe Industry (CZI) president Sifelani Jabangwe acknowledged that industry was already feeling the impact of falling consumer demand as a result of declining purchasing power. “Already demand has come down. A number of companies are feeling the shrinkage in demand. So that’s why we are saying, we do the comparison on the disposable income now and 12 months ago. There has been a huge shrinkage on income and this manifests itself in the reduced demand for goods and services,” Jabangwe said. There is real need to have a minimum adjustment to ensure that people are cushioned across the board. Jabangwe said given that the prices of commodities had gone up, it was fundamental that companies would gradually increase the salaries. “Companies may not give a full cushioning for now. Certainly, the price of goods and services that companies produce has gone up. At least companies should gradually start to increase compensation for their employees, if you don’t, you are going to lose those skills. People will start moving outside the country and you lose those skills. So it’s imperative that companies make such decisions to retain business because it’s not good for a company to lose skilled labour,” he said. 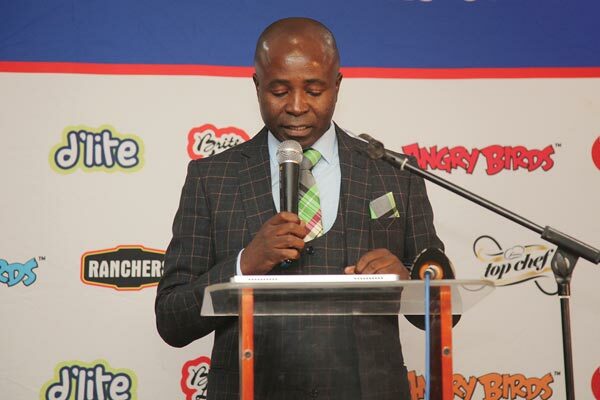 Confederation of Zimbabwe Retailers president Denford Mutashu said the market was tilting towards more affordable products. “We are getting feedback from our members that some products, especially those which are expensive, are being returned .What has been happening in the market is resistance, so the pricing now has to be managed. We are faced with many price increases and those price increases cut across the board. We just put a managed mark-up, but the customers believe that retailers are the ones increasing the prices”. Economist Clemence Machadu said the declining domestic demand would affect business viability at a time local companies were already suffering from cutthroat competition from cheaper imports. “This is compelling consumers to reduce their consumption of certain goods, substitute goods they used to consume with cheaper ones, or totally cut off other goods from their budgets. Generally, household demand is softening across both basic lines as well as luxuries,” Machadu said. Machadu added that there was need for government to establish a well-functioning social contract that ensures that the widening rift between wages and prices is reconciled.